Everything Flowing : for flute, clarinet in Bb, French horn, percussion, violin, viola & cello / Aristea Mellos. Instrumentation: Flute, clarinet in B flat, horn in F, percussion, violin, viola, cello. Performance by American Wild Ensemble from the CD Music in the American Wild. A chamber instrumental work in three movements that celebrates the North American natural landscape. I. Hymn -- II. Monarchs -- III. Streaming through. This edition produced 26 Apr 17. Parts: Everything Flowing : for flute, clarinet in Bb, French horn, percussion, violin, viola & cello / Aristea Mellos. Score [ePDF]: Everything Flowing : for flute, clarinet in Bb, French horn, percussion, violin, viola & cello [eScore] / Aristea Mellos. 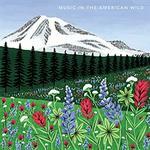 CD: Music in the American Wild.